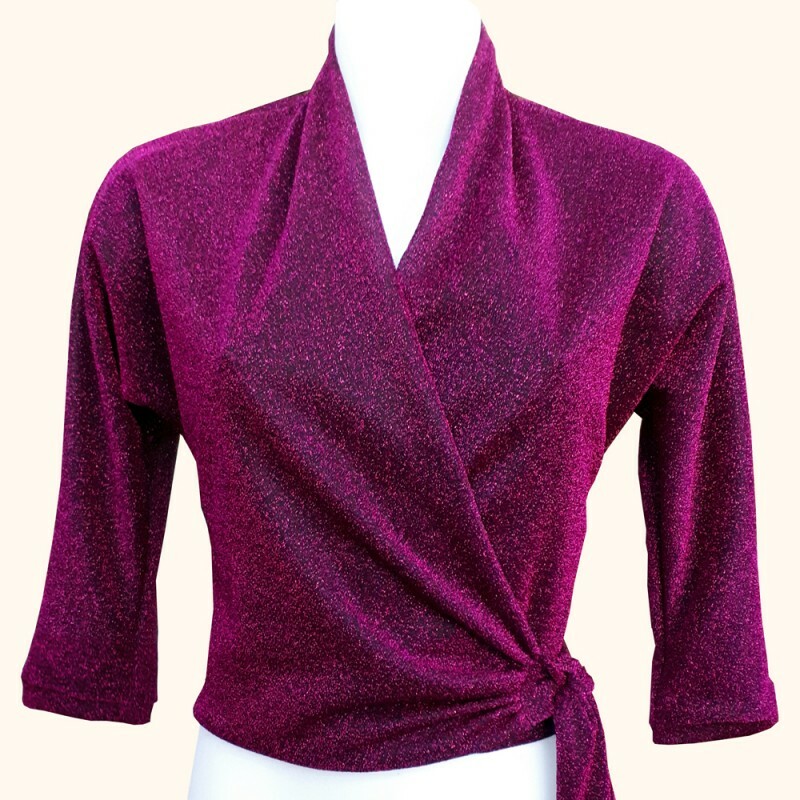 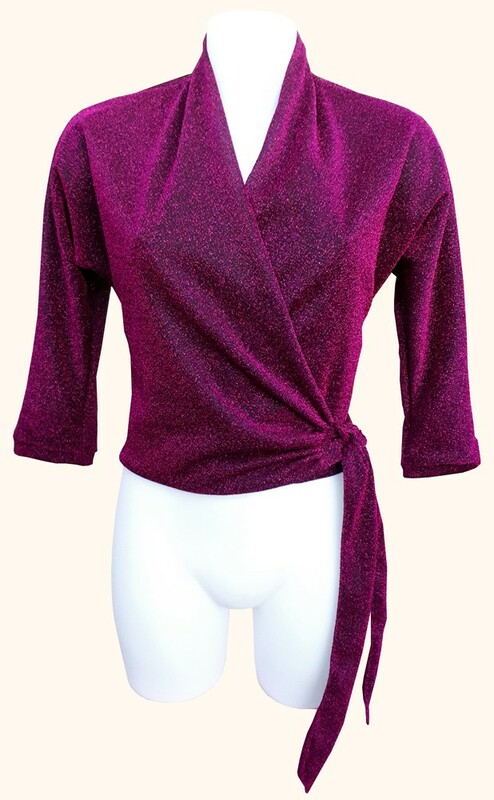 Inspired by vintage 1950s patterns I have created this lurex jersey wrap top! 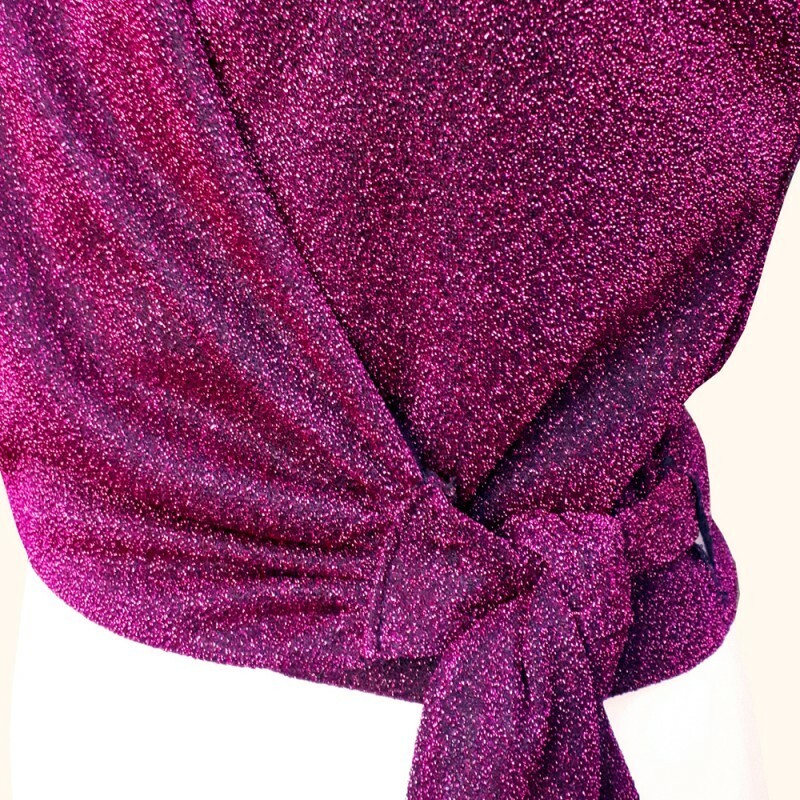 The fabric has a black base with cerise pink lurex thread woven through it which shimmers in the light! 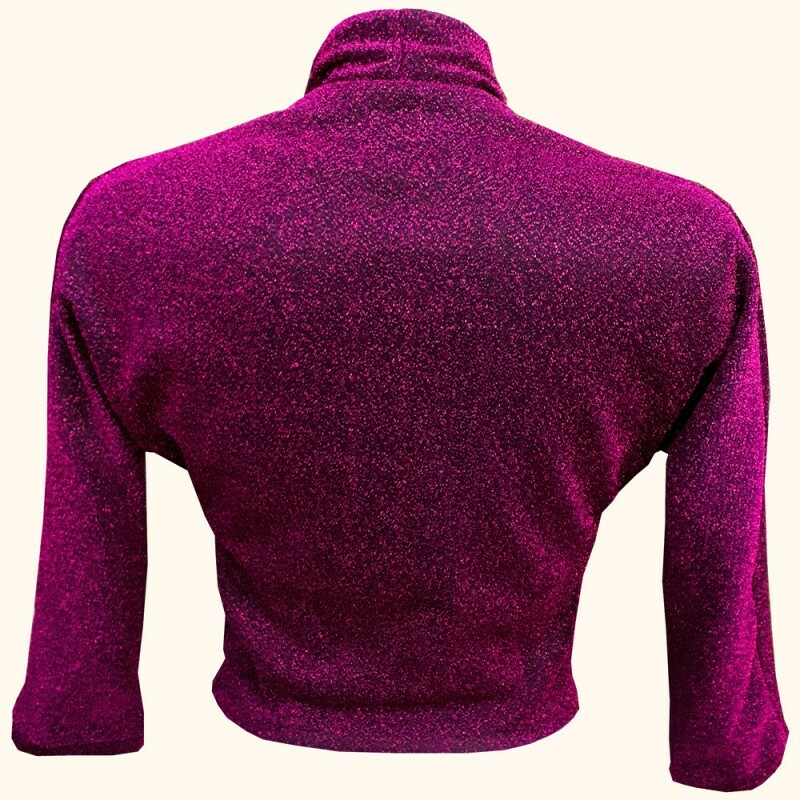 The top is lined with soft black jersey. 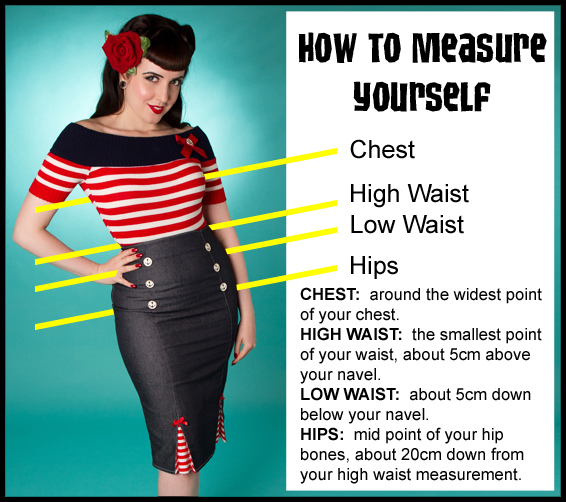 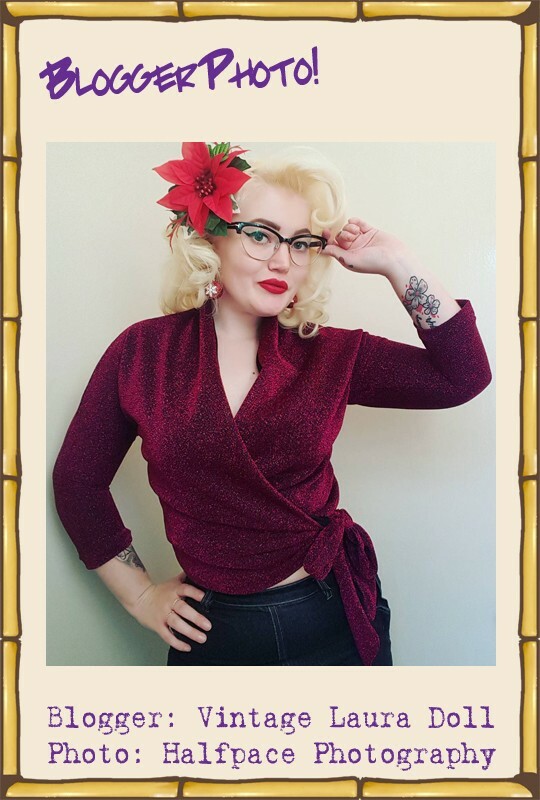 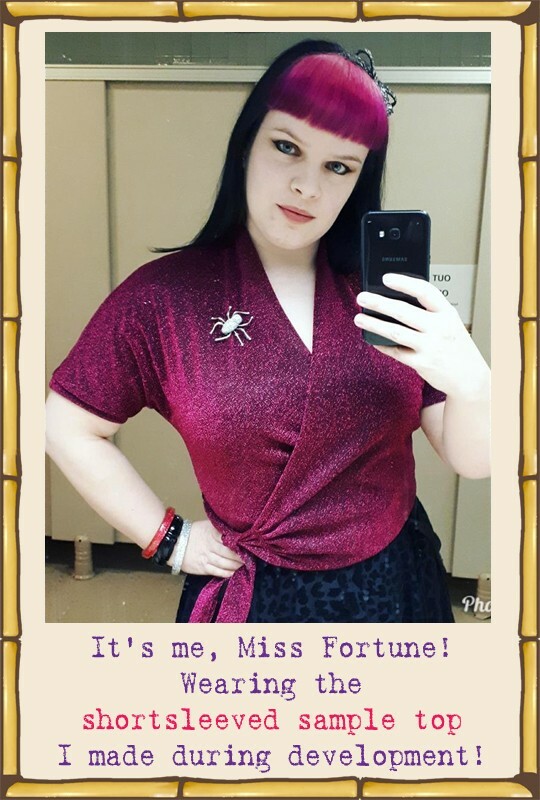 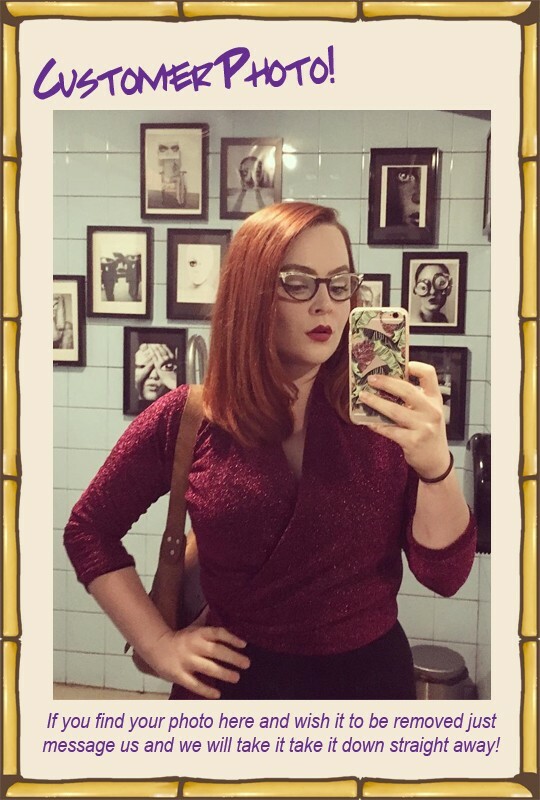 The top has 3/4 length sleeves and is cropped to high waist length (with the shoulder to hem length being approx 20-21 inches from mid shoulder).